What to do with all those leftover mashed potatoes after the holidays? 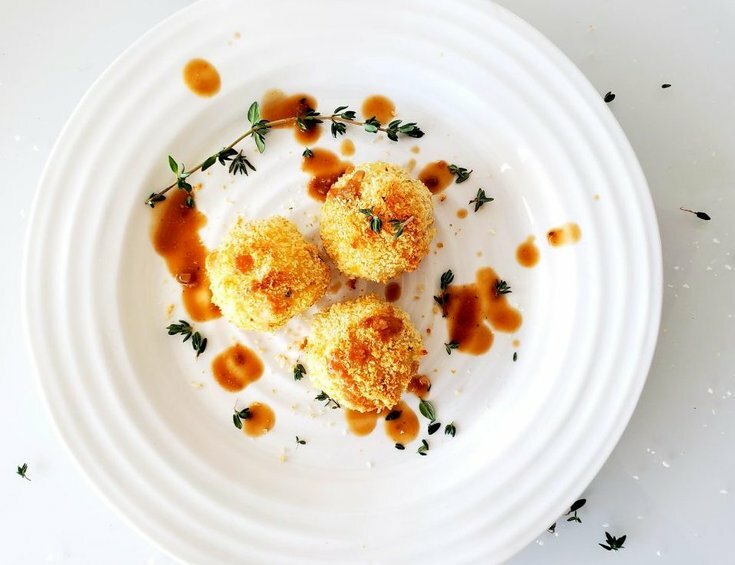 Try these vegan baked mashed potato balls stuffed with lots of plant-based cheese. They are a great snack, appetizer, or side to any meal. AND, what's best is that regardless of all the ways mashed potatoes can be made this recipe will still work. Don't have any leftovers? Not to worry, that just adds 2 extra steps to this recipes-make the potatoes and mash the potatoes. Now, if you don't have any leftover mashed potatoes this step is for you. Begin by peeling the potatoes then cut them in half (this will help them cook quicker). Next, place the potatoes into a large pot, then cover with water. Bring the water to a boil over high heat, and cook until the potatoes can easily be pierced with a knife, so about 20 minutes. 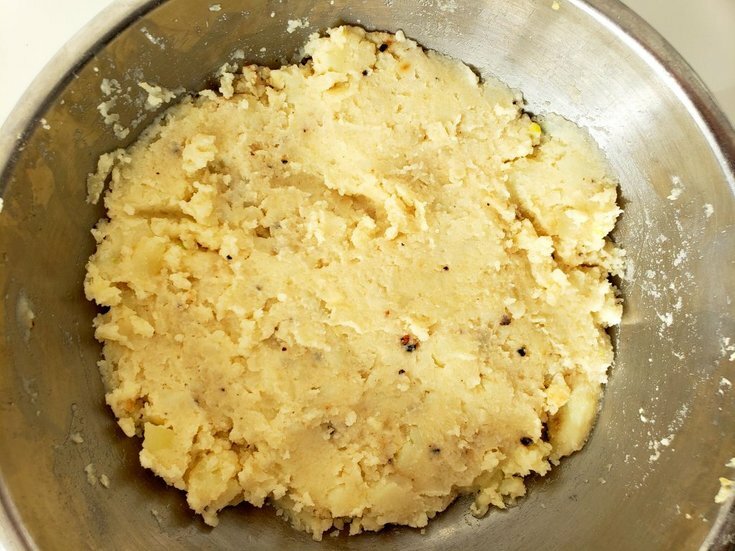 Once the potatoes are cooked, mash them along with the vegan butter, cashew milk, and garlic. Then, place in the fridge to cool for about 30 minutes. Now, for the crispy coating, mix together the panko crumbs, nutritional yeast, and cayenne pepper in a small bowl. The nutritional yeast will add some protein and some extra cheesy flavour. Set this aside for now. Next, use a spoon to scoop out a golf ball sized amount of mashed potatoes. Press one-two cubes of cheese into the middle, then close the mashed potato around the cheese. 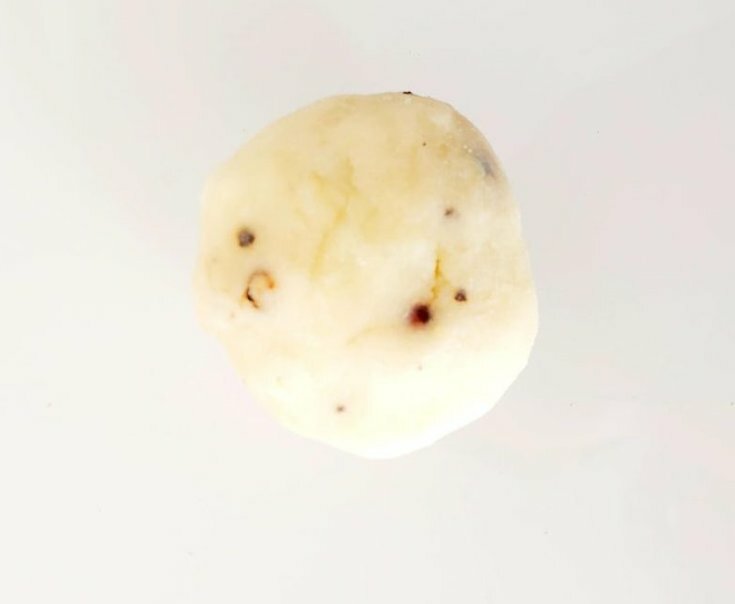 Roll the potato into a ball, then repeat for the remaining mashed potatoes and cheese. 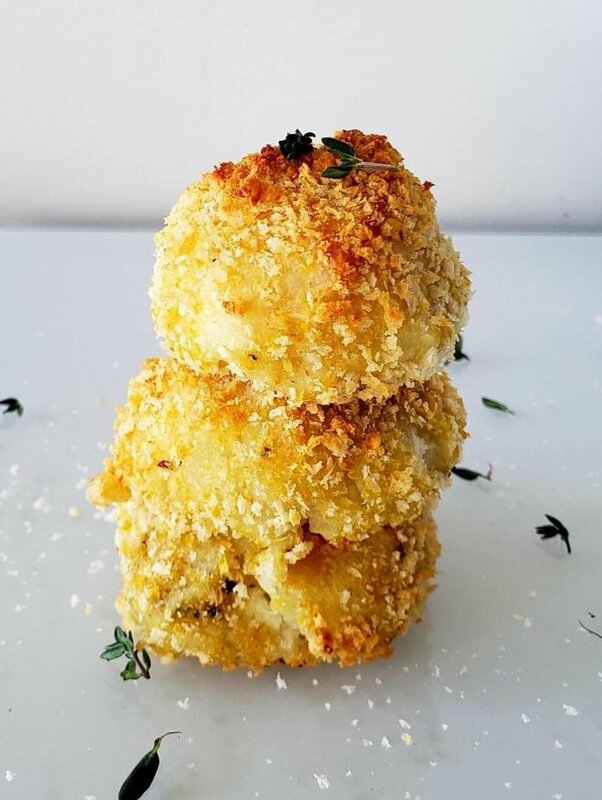 For the next step, roll the mashed potato balls in the panko crumbs mixture. Finally, place the coated mashed potato balls onto a lined baking sheet or casserole dish. Cook for 40-50 minutes or until they begin to brown and the outside gets crispy. If you are looking for a dipping sauce; mushroom gravy or sriracha tastes really good with these. You can just drizzle them over top or serve beside. Peel the potatoes then cut into half. Place the potatoes into a large pot, then cover with water. Bring to a bowl over high heat, and cook until the potatoes can easily be pierced with a knife, about 20 minutes. In a medium bowl, mash the potatoes, vegan butter, cashew milk, and garlic together. Place in fridge to cool, about 30 minutes. 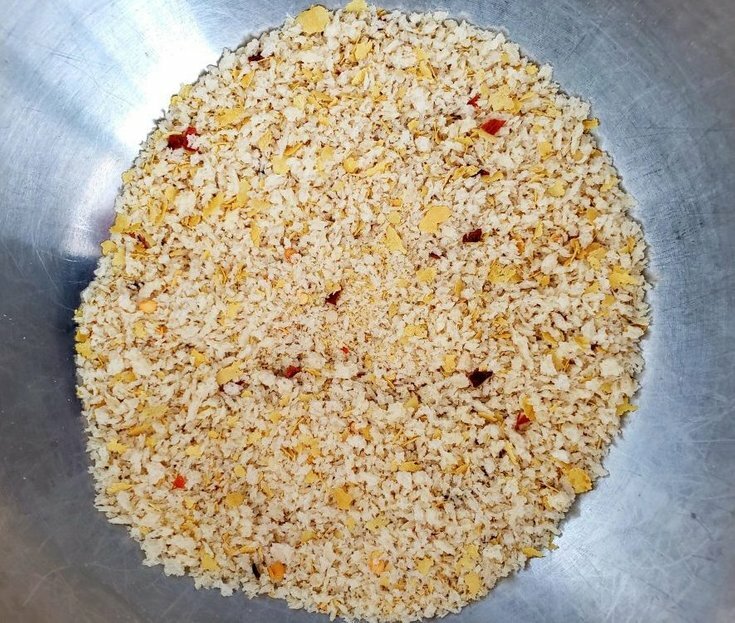 In a small bowl, mix together the panko crumbs, nutritional yeast, and cayenne pepper. Next, use a spoon to scoop out a golf ball sized amount of mashed potatoes. 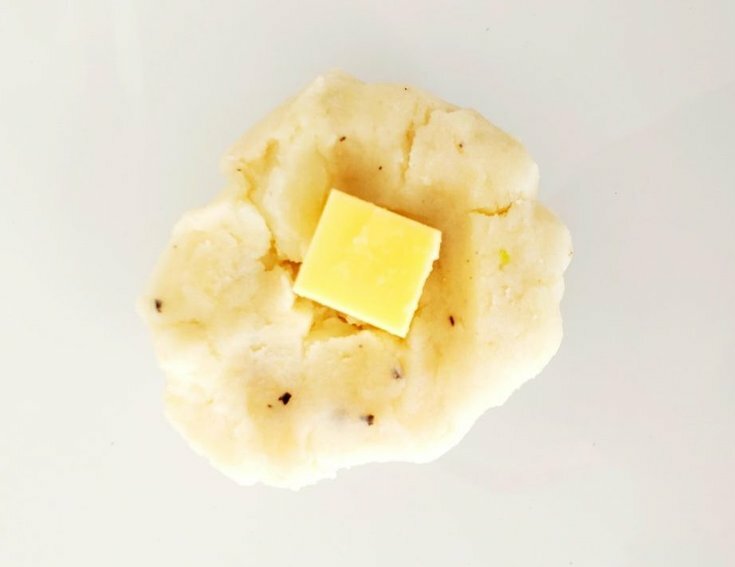 Press one cube of cheese into the middle, then close the mashed potato around the cheese. Now, roll into a ball, then repeat for the remaining mashed potatoes and cheese. Then, roll the mashed potato balls in the panko crumbs mixture. 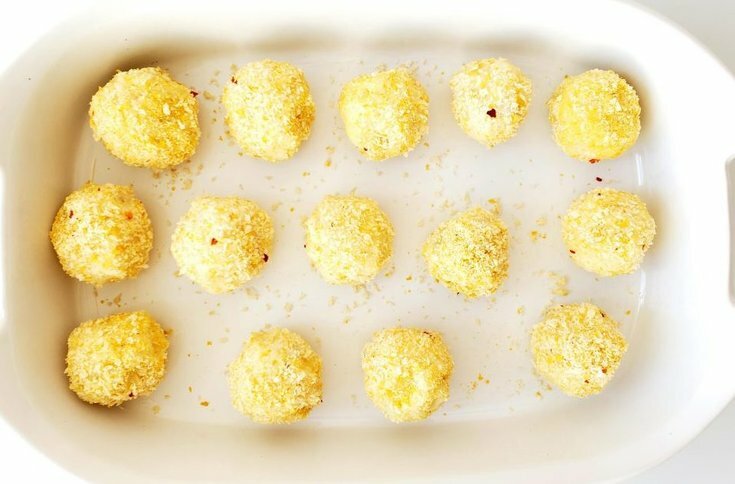 Finally, place the coated mashed potato balls onto a lined baking sheet or casserole dish. Cook for 40 minutes or until the outside gets browned and crispy.